Colombia also considers other fighter jets as well as French Mirage 2000 and Rafale fighter jets, U.S. F-16 and F/A-18 aircraft, Swedish Saab Gripen and Russian Su-30. According to defensa.com, the Colombian Air Force is looking for different options to reinforce its combat aircraft fleet. Eurofighter Typhoon belonging to a surplus of the Spanish Air Force fleet is at the top of the list. This option involves second-hand, Trance 2 standard Eurofighter equipped with the advanced Meteor missile. 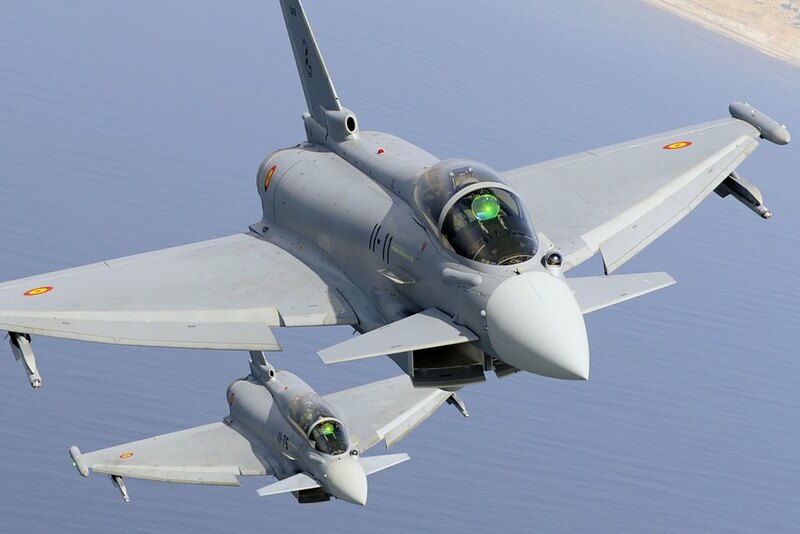 The contract would lead Colombia to become the first operator of the Typhoon in the region, and the only nation to operate advanced fighter jets in South America, comparable only to the future Brazilian Saab Gripen fleet. Other options being considered by Bogota include both Dassault Aviation’s Mirage 2000 and Rafale fighter jets, the U.S. Lockheed Martin F-16 and Boeing F/A-18 aircraft, the Swedish Saab Gripen and Russian Sukhoi Su-30. Currently the powerful side of the Colombian fleet is composed of the Kfir fighter jet, it is an Israeli-built all-weather, multirole combat aircraft based on a modified French Dassault Mirage 5 airframe, with Israeli avionics and an Israeli-built version of the General Electric J79 turbojet engine. Colombia bought from Israel a batch of 12 ex-IAF Kfir aircraft in 1989, which were delivered to the Colombian Air Force (FAC) in 1989–1990. In February 2008, Colombia signed a deal with the Israeli government for an additional batch of 24 ex-IAF Kfir aircraft.